Currently serves on a Plaintiffs’ Executive Committee representing commodity traders in a high profile class action. Counsel to a manufacturing company engaged in leasing its proprietary equipment to foreign manufacturers. Successfully settled a legal malpractice case for a high six-figure dollar amount. Represents landowners who lease mineral rights, auditing and, where necessary, disputing underpayment of mineral royalties. Mr. Karam has been a partner in a number of prominent plaintiffs class action firms, where he was a lead trial lawyer representing investors, pension funds, and individuals, in both class actions and other large non-class action cases, against corporations. He has experience as lead or co-lead counsel in cases against large energy corporations, including Enron. In the Enron litigation, he played a significant role in the factual investigation of the case, and in defeating the motions to dismiss filed by both the executives of Enron, and by the corporation itself. 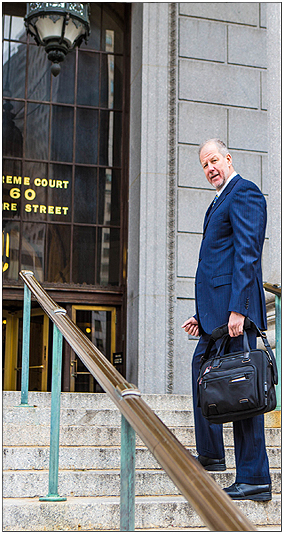 He has also played a leading role in big cases against financial companies, such as Fannie Mae, pharmaceutical companies, such as Pfizer, and insurance companies, such as Cigna, in which he achieved a significant settlement on behalf of his pension fund client. Most recently, he has partnered with a Pennsylvania lawyer, Doug Clark, and together they have represented numerous landowners who have been approached by oil and gas companies to lease their land with the purpose of exploring for embedded gas or oil deep below their property. With such a complex issue it is so important for those involved to be as educated as possible about the process, what their rights are, what their compensation will be and what the company’s responsibilities are. Mr. Karam has extensive experience representing landowners in these types of negotiations and helping them fully understand the process and details. I am devoted to the craft and profession of being a trial lawyer. I have been learning the trade for the past 30 years, and I hope to continue learning for 30 more. I put my heart into every case. Each case demands that I learn something new, that I not rest on my experience, and that I pay close attention to facts and details that others might overlook. Honesty and truthfulness are paramount for a trial lawyer. A good lawyer has to work hard to find and see the real truth, not just what he or his client wants to hear. That means having hard conversations, sometimes with adversaries, sometimes with clients, but it also means being more successful, and having the judgment to know which cases to settle and which cases to bring to trial. My experience in tough and hard-fought cases has shown me that the honest and sincere lawyer has many advantages over the clever or aggressive lawyer. As a small firm lawyer, I limit the number of cases that I take on, so that I can still take any case to trial as needed. I keep my skills engaged, and continue learning by teaching trial and deposition practice.